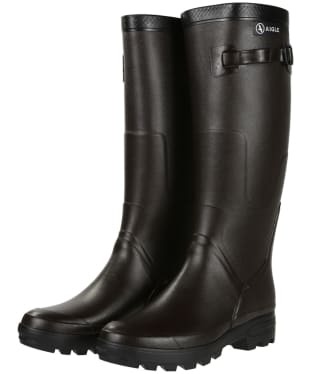 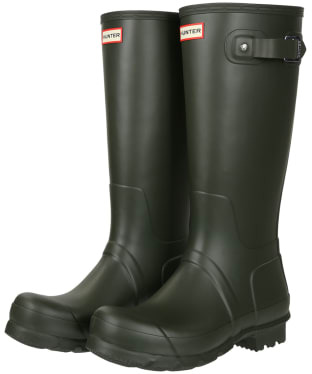 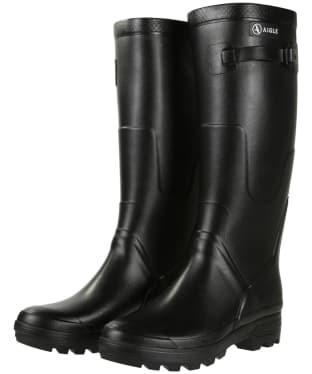 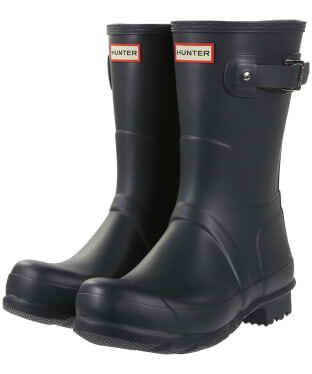 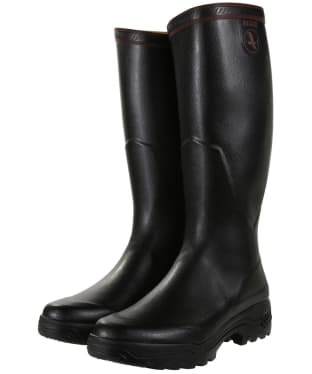 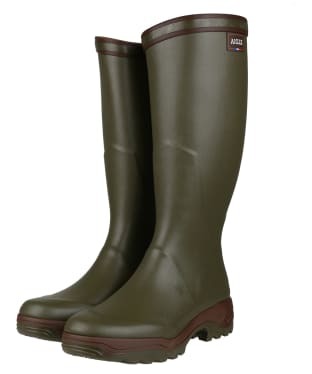 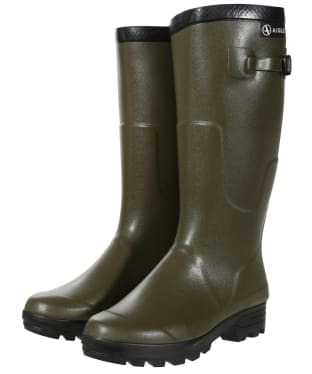 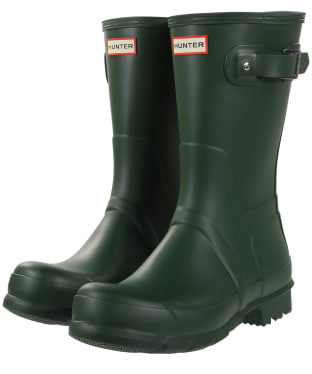 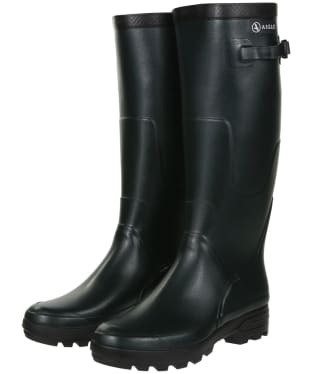 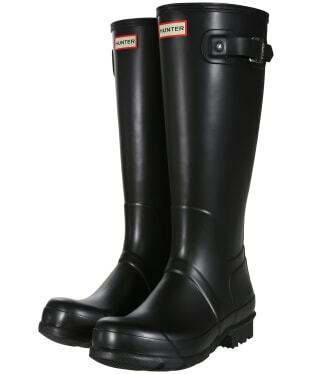 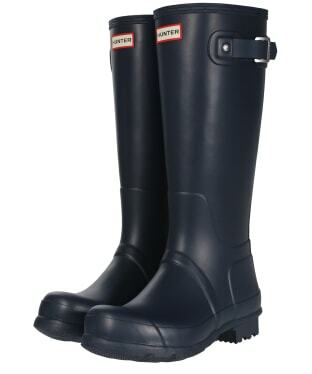 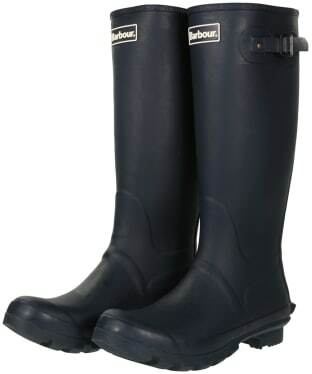 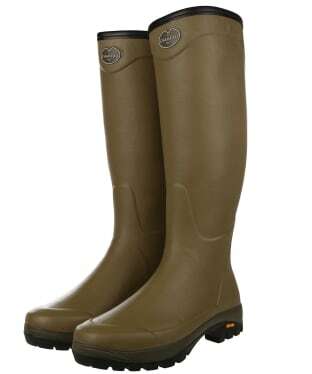 Discover the beauty of a classic design with our wonderful range of men's standard claf fit wellies. 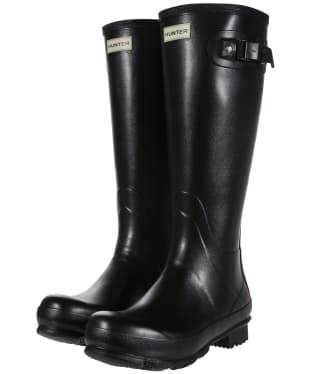 For the gentleman who spends time outdoors in all manner of weather conditions - the dependable wellington boot is a superb fusion of style, substance and protective properties for a classic finish. 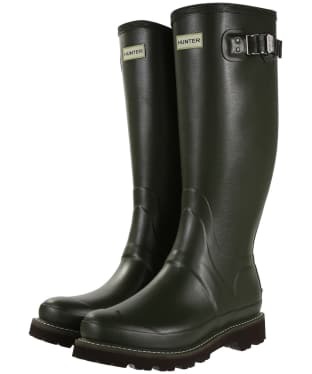 Whether an outdoor grafter, a passionate walker, an avid gardener or a stylish festival-goer; our collection of traditional wellies will feature a design that's perfect for you from incredible household favourites and inimitable brands such as Hunter, Barbour, Le Chameau and Aigle. 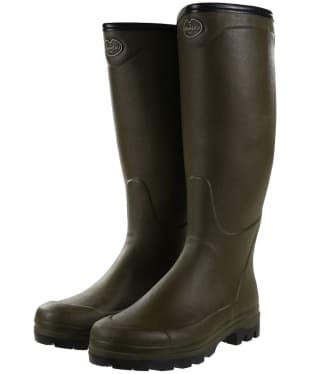 With robust waterproof rubbers you'll never have to worry about being exposed to the elements, whilst sturdy treads provide a secure non-slip grip on uneven terrains...from rocky roads to muddy trails and festival fields. 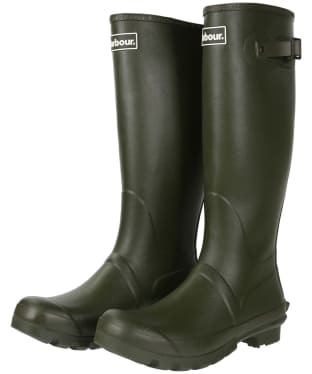 Perfectly roomy allowing for cosy welly socks and tucked in trousers, traditional wellies are the perfect go-to design for the outdoor enthusiast of any age. 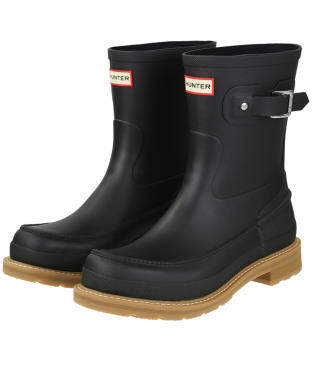 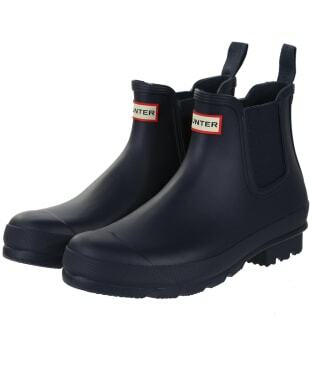 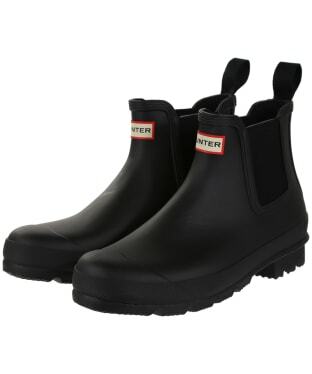 The men's Hunter Norris Field Wellington Boots bring a strong and sturdy edge to a classically designed boot, ticking all the boxes for fashion meets function. 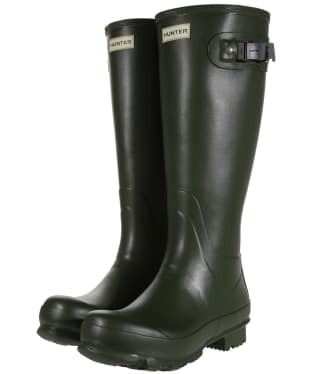 Handcrafted by experts for a unique and luxurious finish, the Norris is a sleek and contemporary design that radiates practicality and classic robustness. 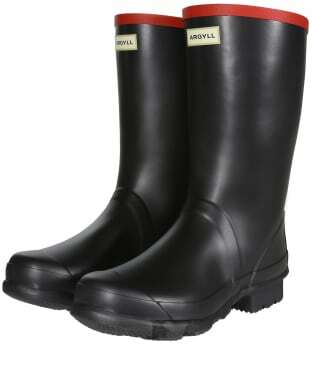 An innovative soft rubber compound provides a comfortable yet rugged base for the design with a longer-lasting Argyll sole for an investment-worthy style that grips to any surface. 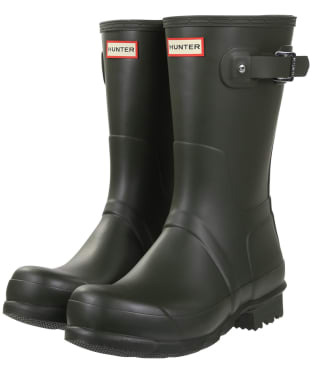 The Hunter Field Collection was created with the ethos of providing ultimate protection and utilising technically advanced materials for a superior fit and finish, showcased here by the robust detailing and adjustable webbing strap for expert comfort and care. 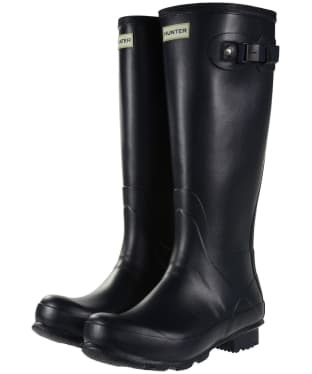 Constructed in a tall design, these boots are wonderfully stylish and protective, weather proofing the foot and leg for a fully functioning style. The Men's Hunter Original Lightweight Mock-Toe Short Wellingtons have been handcrafted from 100% natural rubber, offering you a soft and flexible pair of boots that are sure to keep you comfortable all day long. 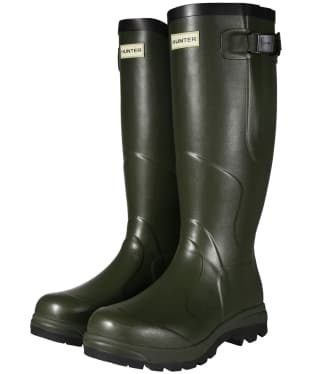 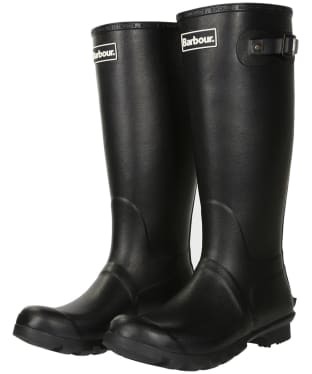 Whether you are heading into the country for a stroll, or wandering around the town during the wet weather, these wellingtons are sure to be your perfect partner! 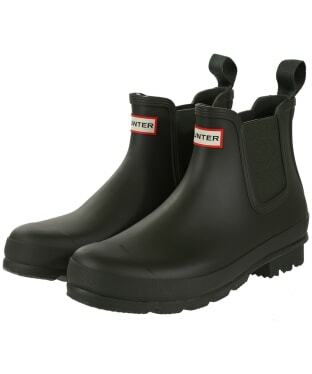 Designed with a fully waterproof outer for that added touch of wearability, the boots have a lightweight feel for added comfort and practicality. 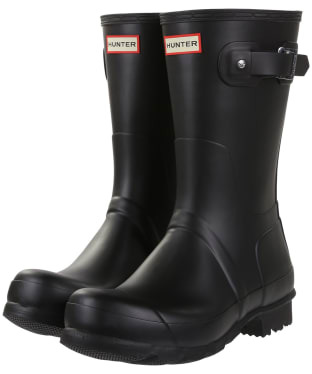 With mock buckles to the sides for that timeless Hunter feel, the boots have mock toe seam detailing for that on-trend look. 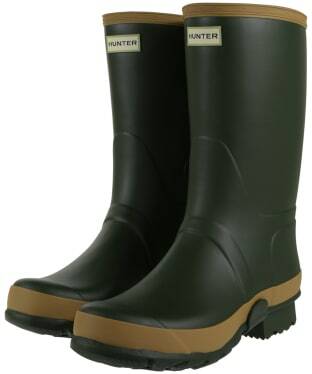 Finished with Hunter signature branding for that added mark of quality, these boots are sure to complete your stylish outdoor ensemble with ease.